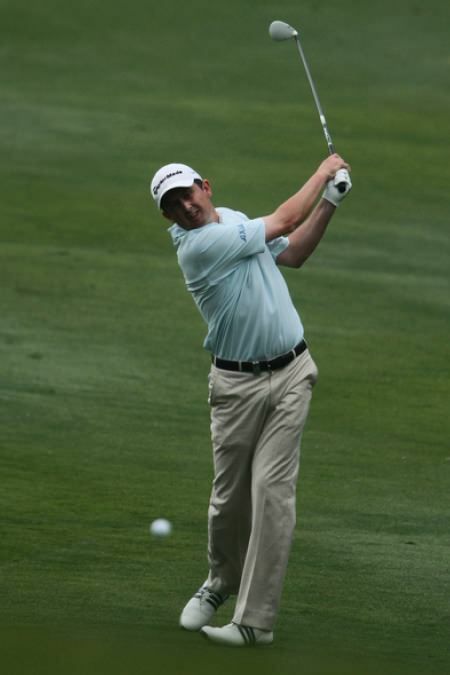 Lawrie came into the week just €14,997 ahead of his nearest Race to Dubai rival, Englishman David Howell and barring a poor weekend must surely be on his way to the season-ending extravaganza for the fourth year in a row. The former Open de España champion suffered an early wobble, bogeying the fourth hole, but then made light of the stiff breeze with birdies at the seventh and eighth. Lawrie eagled the par five 13th on the opening day, and he again showed his liking for the hole with a birdie on day two to move to four under par and within sight of the leaders – and indeed a trip to Dubai. He said: “I came into the week in 60th position, which could be fortunate or unfortunate, depending on what way you look at it. “I’ve been moving down the Rankings all the time over the last five weeks, after not getting into tournaments. So it’s quite difficult to get that out of your head this week. “As I said to a few people at home, I have to try to play mind games with myself this week and try to get past it. I was in a similar position last year and managed to make Dubai, so hopefully we can get there again. “I attempted to work out what I would need to guarantee my place when I got here on Monday, but I ripped it up straightaway and said to myself, ‘Don’t even go there, Peter.’ Apart from anything, it’s complicated by the fact that South Africa finishes after us. 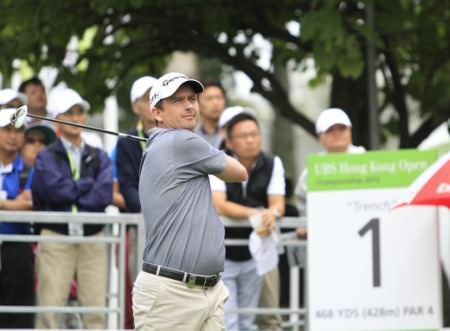 A swirling breeze made scoring tough at Fanling, where Rory McIlroy (72), Niall Turner (71) and Padraig Harrington (75) all shot over par to miss the cut. 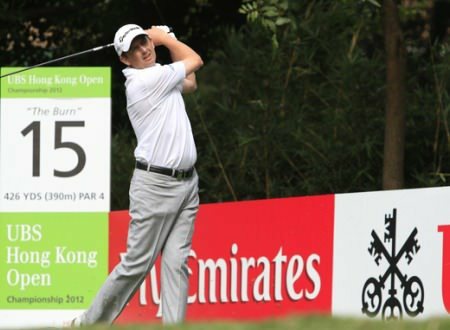 Lawrie described the conditions as the toughest he has seen in Hong Kong since he first played in the event in 2003. “It was difficult but I’m very happy,” Lawrie said of his round. “I’ve been coming here for the last nine years, and this is probably the most difficult it’s ever been, condition-wise. “It’s exceptionally windy out there, but the wind is not coming from just one direction. It seems to be coming from all directions. “So you’ve got to try and manage your way around, just plod your way around the golf course and accept that par is going to be a pretty good score. Assessing his chances over the weekend, he added: “If I shoot another two 68s, I won’t be a million miles away from the winning score, and the winning score won’t be as low as it has been the last couple of years.